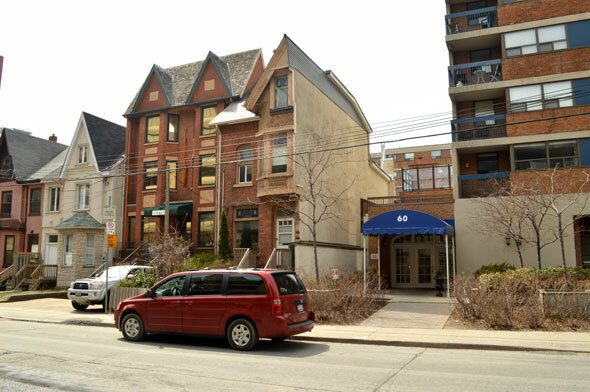 Sitting on St. Patrick Street in the heart of Toronto, Ontario is the suitably named “Half House”. 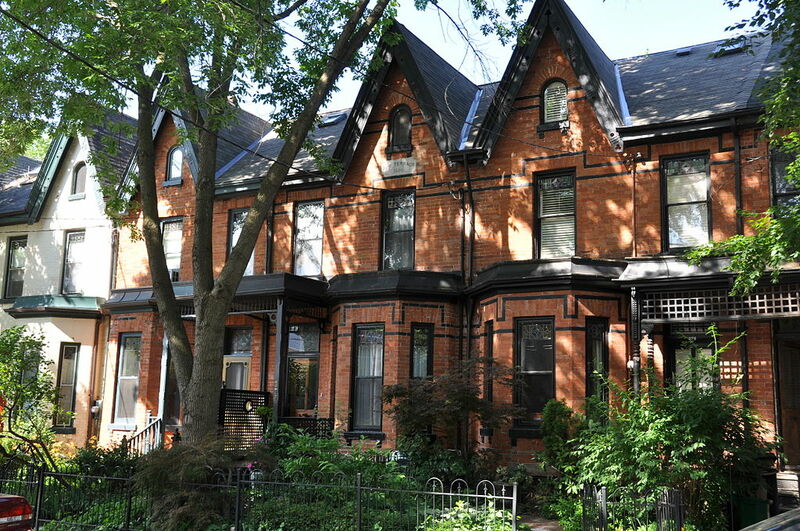 Located near the intersection of Queen St. West and University Ave, this residence is an interesting little piece of history and has even been mentioned on Ripley’s Believe It Or Not. 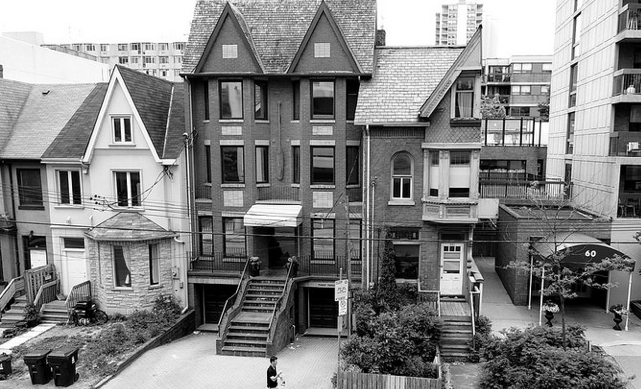 Toronto’s Half House was constructed around the late 19th century on what is now St Patrick Street. A Victorian row house it was part of a row of houses which were numbered 52 ½, 54 ½, 56, 58, 60. When the time came to tear the buildings down, only 54 ½ remained. How peculiar! 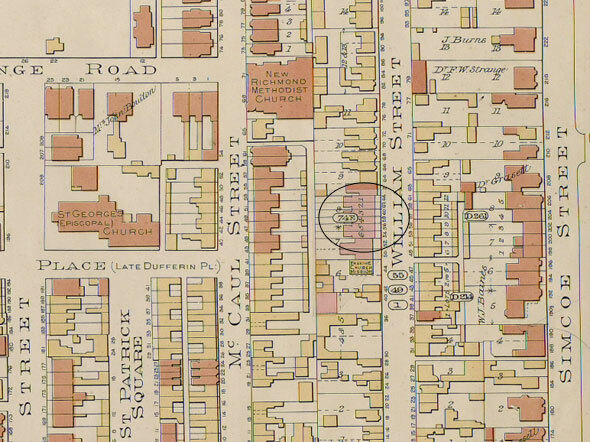 During the early 1900s, many areas in the downtown core of Toronto were home to working class residents living in poverty, and the housing stock was falling into disrepair. This included the street where the Half House is. Property developers started assembling sites - including Windlass Holdings Ltd. - but the family who owned 54 ½ (the Valkos) refused to give in. Due to the restructuring and tearing down of the residences in the surrounding area, connected buildings were demolished. House 54 ½ was disconnected from the rest of the properties as a result, which made it look like the house was sliced in two. In fact, it’s quite surprising that the Half House survived at all seeing as one wrong calculation could have led to its ruin. 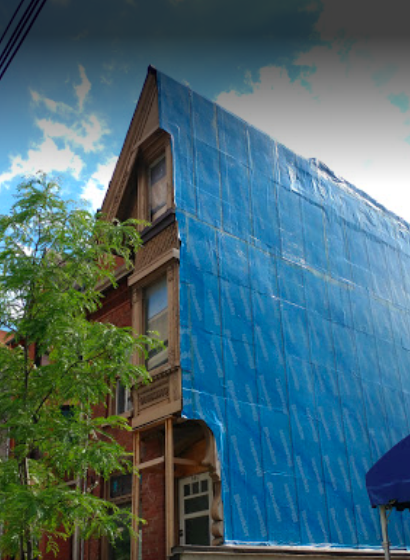 Not to mention, throughout the construction, rain would seep into the house, which was just one of many the complaints from the house’s residents. By the mid-1970s, The Village by the Grange Housing Project was built right beside the Half House which made the home stick out even more since it looks like half of a house beside a full-blown housing development. The daughter of the Valkos family, Emily Brown, passed away in 2017. She resided in the Half House until 2012 before retiring to a nursing home. The house was then sold to a man named Albert Zikovitz, and today the building still seems to be uninhabited and privately owned. 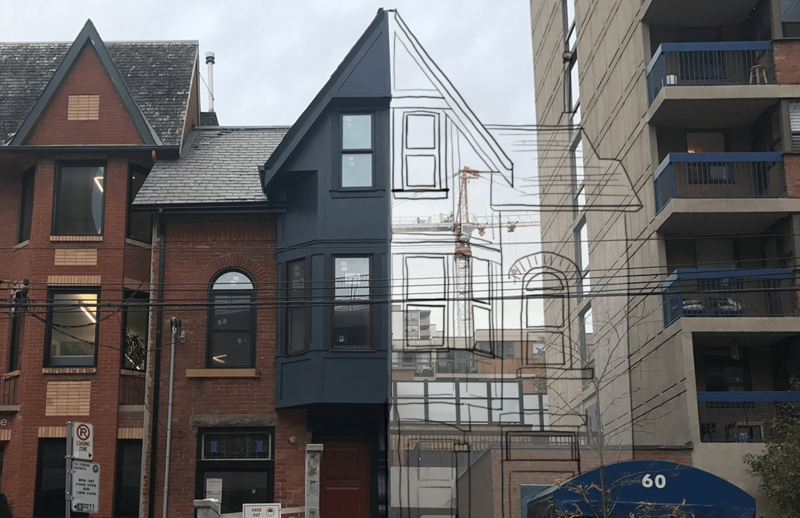 As seen in the picture above, the architecture design of the Half House (which is quintessentially Toronto) is the Victorian Bay-and-Gable style, which was popular in the late 1800s. It’s refreshing to see that so many of these original houses are still standing, despite the pressures of redevelopment. Even the Half House, as weird as it looks, has many original exterior features after all of these years! If you’re intrigued by what half a house might be worth, the current value is estimated by Urbaneer.com's Steve Fudge to be in the range of $1,000,000, because of its superb centre-of-it-all location. Think about it, you could be the only person in Canada living in an actual half house!